In the Bronx,we have a very experienced team that specialized in crime preventions to help our Bronx residents to protect themselves. We can make additional designs on our gates, the colors usually are black or white, we mount them securely to keep you safe. Call us today for an estimate you will be happy that you did. Our local number in the Bronx is 718-747-8041. 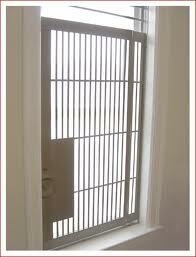 We have fire escape window gates which are legally proof by the NYFD. We come and measure the window or any opening that needs protection, and than 2-3 business days after we are ready to install your new Security window gate. We can make additional designs on our gates, usually the colors are black or white, we mount it strongly and secured to keep you safe. We can install them with high security cylinders which makes it even harder to break through them. If you leave in an apartment and want to protect your window against burglaries,NYC law inquires you to install only A fire proof window gate on windows which leads to a fire escape stairs, those window gates are being installed from inside, And they open inward,the locking mechanism doesn’t have a key, since in case of emergency such as fire in the building you don’t need to look for the key, the gate is strongly protected,and there is no way to open it from outside.